If you’re new to home building, you may not be aware there is a type of loan, the home construction loan, specifically designed for that purpose. Unlike mortgage loans, which pay for your home in one payment, the home construction loan is paid out to the home builder during the stages of construction. Home construction loans are short-term loans, normally a 12-month loan, and have a variable interest rate tied to the prime rate. During construction, the borrower will normally pay the interest on any funds that have been paid out to the home builder. Funds are paid out in draws as modular construction stages are completed. Before funds are released from your financial institution, an inspection of the job’s progress is usually required. 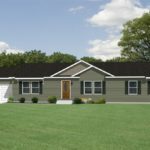 Securing a home construction loan for your modular build usually requires detailed information about the project, including a construction timeline, detailed plans, and a budget. When determining your construction timetable, overestimate the time it will take to complete the project. While the typical modular home build is six months, unexpected delays are common. Some of the delays we’ve seen in the past include difficulty securing proper permits, prolonged weather delays or issues with installing electric service. By working extra time for unforeseen delays into your timetable, you reduce the risk of the loan term expiring before your new home construction is complete. Once your home construction is complete, you will need to secure a mortgage loan to pay off your construction loan. There are two options: the one-time close and the two-time close. The one-time close, sometimes called a construction-to-permanent loan, is one loan for both the construction of the home and the mortgage. The two-time close loan is exactly what it sounds like. Two separate loans: one for construction and one for the permanent mortgage. There are pros and cons to each of these loan types. 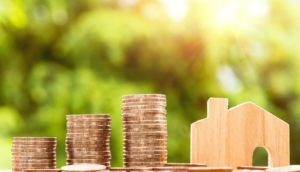 You may be able to find a lower mortgage rate on the two-time close loan because you have the option to investigate other sources of permanent financing. You also have a finished project to use as collateral. It also means, however, you will be required to pay closing costs twice. While rates may be higher using the one-time close loan, it also gives you the security that once you are approved for the construction loan, it will carry over into a permanent mortgage. There is always the chance with the two-time close loan that you don’t get approved for the mortgage. Though it should be noted, banks may require the approval of a mortgage loan before they approve the home construction loan. 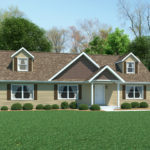 If you are considering building a modular home, visit your local bank and talk to a loan officer about your options, your current situation and what you would need to do to be approved for a home construction loan. As always, our trained professionals are here to help you and answer your questions about the modular home building process. 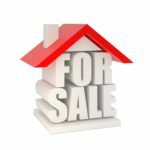 Visit our website to send us a message or stop by one of our three locations in Jackson and Chillicothe, Ohio and Henderson, W.Va.
Should you sell your house before you build a new house?